Muscle rubs can provide pain relief and anti-inflammatory properties to help you cope with acute and chronic pain. Our top pick, Penetrex, offers fast-acting relief in a non-greasy formula. As a runner, musician, and equestrian with fibromyalgia, I'm no stranger to muscle pain and soreness. My hands and wrists ached particularly badly during college when I played the flute for countless hours a day, and back pain has plagued me for most of my adult life. To cope, I tried various muscle rubs and quickly amassed a collection of products - many didn't work as well, but a few I ended up loving. Choosing a great muscle rub can be tricky. You want something that works immediately, but that also lasts for hours. Many formulas are greasy no matter how much you rub them into your skin. Others are powerfully scented, making your eyes water and being a smelly distraction. I've also found that some can stain clothing, and after a particularly bad reaction to Capsaicin, I'm aware of how painful an allergic reaction can be. The muscle rubs in this list are tried-and-true performers. They're effective, not greasy, and while some are scented, the fragrance is minimal. 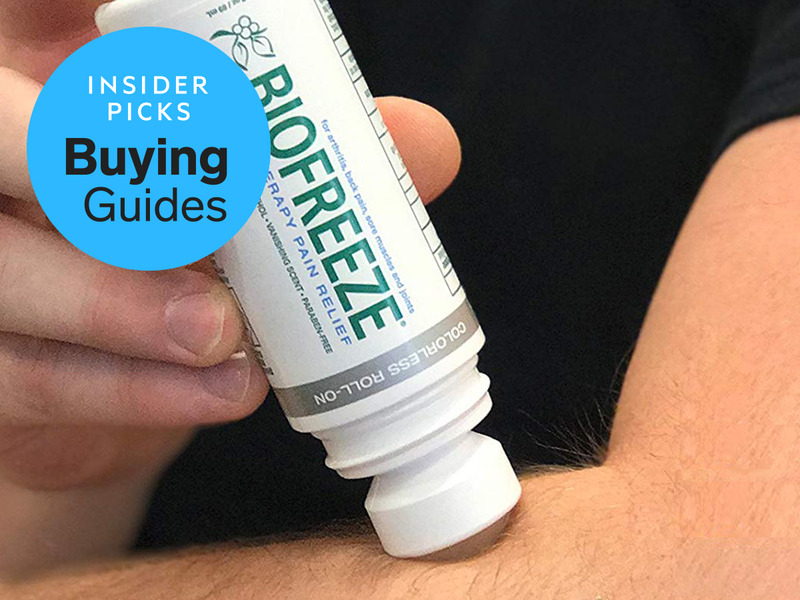 These muscle rubs can make a great addition to your medicine cabinet and be a complementary treatment to pain medication, stretching, and hot and cold therapy. While countless people have used these products without issue, it's still possible for you to react negatively to a muscle rub. When trying a new product, make sure that you aren't allergic to any of its ingredients. Always follow the product's usage directions, and test it on a small area of your skin first. Muscle rubs can be used in conjunction with other pain-relieving methods, but don't apply muscle rub before using a heating pad or wrapping or bandaging the affected area. If you have any serious concerns, consult a physician before using.